[CR] Painting. Passion to Art. 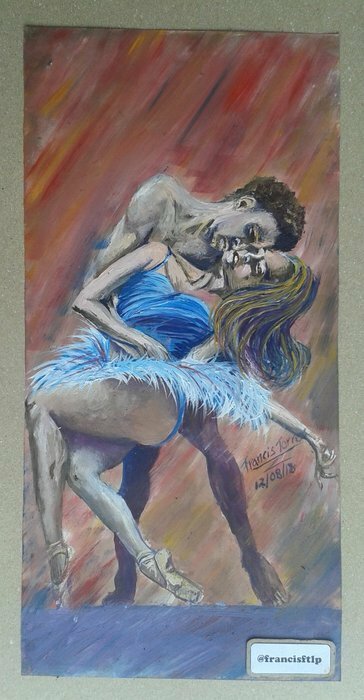 I painted a couple dancing, where they express passion to what they like to do, in this case the dance. I really identify with this painting because through it, I show what I feel, when I do what I like. "The dance is art and art makes a person go beyond the present and the place that is, so that this can happen you just have to have passion." I do not have much experience with painting bodies with oil, so the basic knowledge was very helpful. I tried to make the work somewhat stained, but only in some parts of the work, because I was a little afraid of damaging it, that's why the color of the background is on some parts of the body. There are also details on the skin, which, between the lights and shadows, I had to mix some paints on the paper to make the stained form. I consider that I achieved the effect I wanted, but, anyway, I will continue practicing to improve that technique. ok, here I show the step by step of the painting, I really hope you like it. 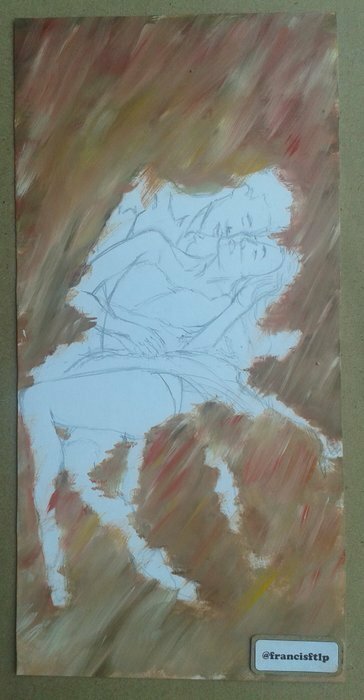 Step 2: In this step I started painting the background, I do it this way to avoid damaging the figure after painting it. I used a flat brush of medium size, and added brown, red and white. 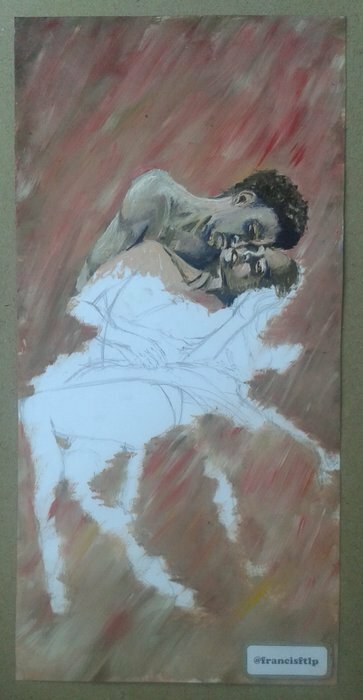 Step 3: I started to paint the figure, the colors I used were the mixture of brown and white, I also added light pink paint and in darker areas, I mixed blue and red paint. Step 4: I painted the arms. 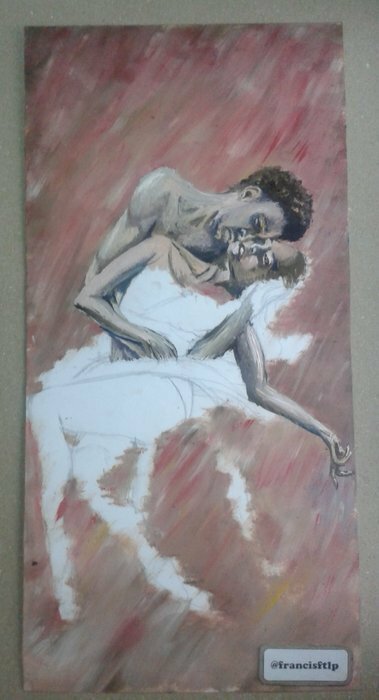 Step 5: Finally, I painted the woman's dress and hair, each one's legs, the platform where they are and I added other colors to the background like yellow and blue, and painted with the color of the background some parts of the body to achieve the effect of spotting. I appreciate that you read my post, I hope you have enjoyed this beautiful painting. 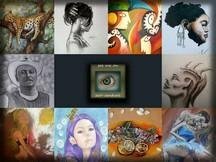 you can support my work with upvote, follow or refeem, I will be totally grateful. You can also leave your comments, I would love to know what you think of my work. What an amazing artwork. There's a lot of movement and emotion on this couple dancing. Well done, Francis. oh @rincowski! I'm glad to have achieved that emotion, thank you very much. Your painting is beautiful, it looks amazing! 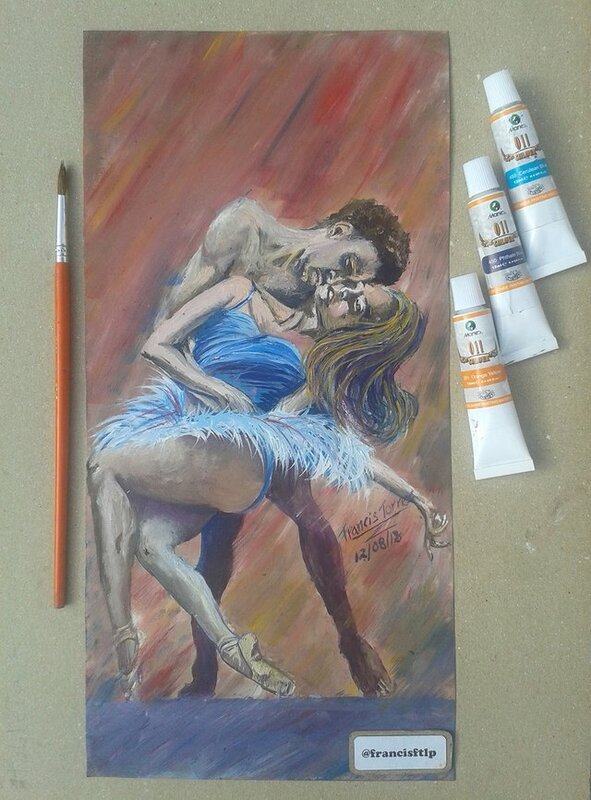 oh @yanes94 thank you , and you can manage to paint with oil paint, you're great with art, you have a lot of talent. I used this type of material since I do not have the necessary resources, but not for that reason, I'm going to stop doing this type of art, that's why I use drawing paper. I hope to have some canvases very soon. Thank you very much for commenting.